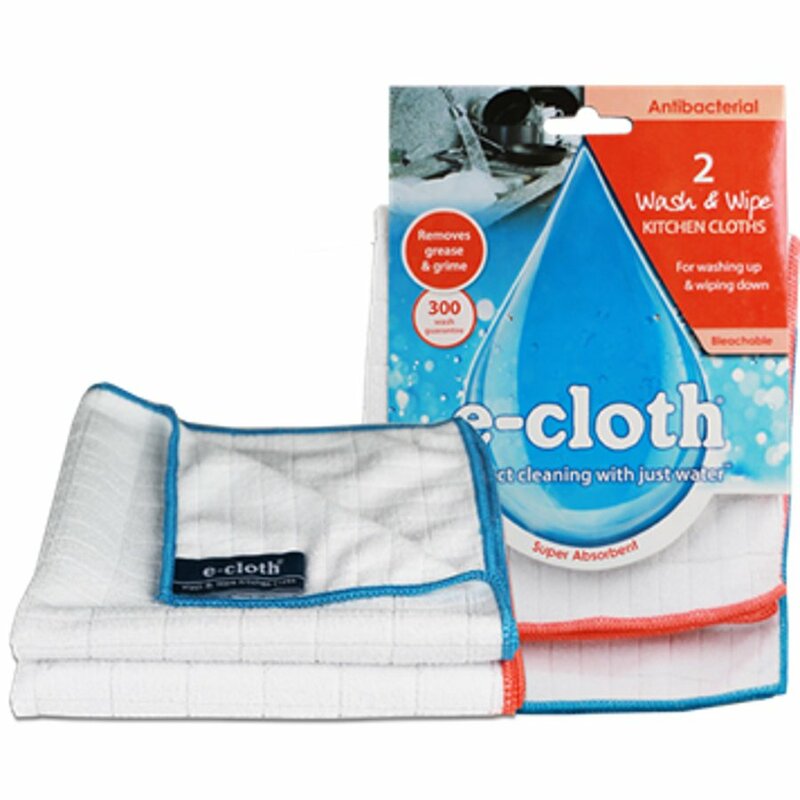 This pack of 2 kitchen cloths is great for washing those dishes up and for wiping down surfaces. They are anti-bacterial and highly absorbent and contain natural silver ions that kill any bacteria trapped while cleaning. Make your washing up sparkle and your kitchen surfaces shine for up to 300 machine washes. 32cm x 32cm. 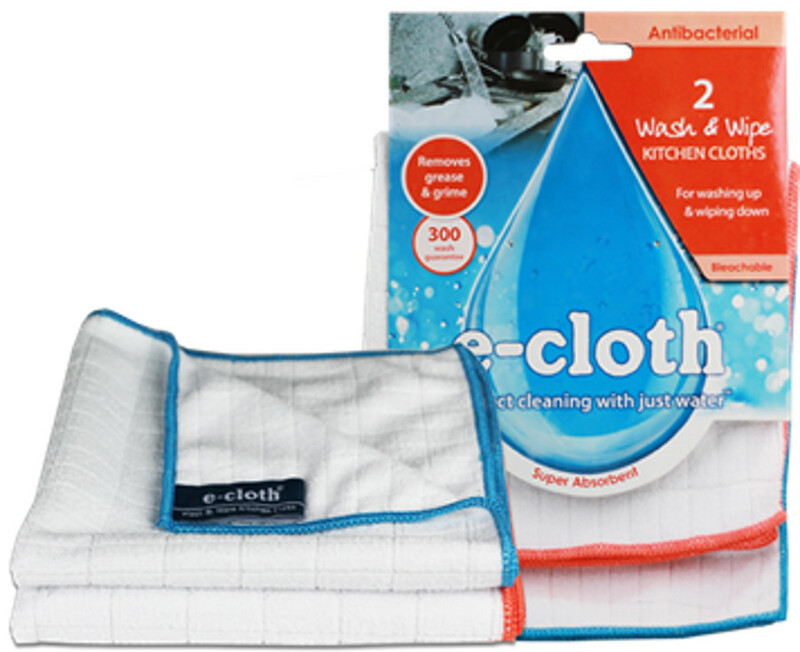 There are currently no questions to display about E-Cloth Wash & Wipe Kitchen Cloths.